Time to burn some humans!!!!! Hey guys I am the burning tree AND I REQUEST THAT I BE ADMIN!!!!!!!!!!!!!!!!!!!!!!!!!!! Re: Time to burn some humans!!!!! 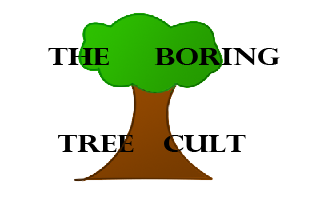 Welcome to the BoringTree Cult! Finally, maybe someone OTHER than me and Redwood can post things. Also, I have no earthly idea who you are. Are you one of Hunny's friends? P.S. There is no point for this P.S. Hey, you got an account on the Cult? Neat! Welcome to the Cult! It would be very much appreciated if you used proper spelling, as chatspeak is hard to read and somewhat undermines your intelligence. But other than that, have a great cult experience! I TOLD YOU I HAD FRIENDS!!! I TOLD YOU! Yay, you get an extra big hug tommorow! I THOUGHT YOU WERE MY OTHER FRIEND! YOU GET NO HUGS!!!! I WILL SLAP YOU IN THE FACE WHEN YOU FEEL BETTER EXTRA BIG!